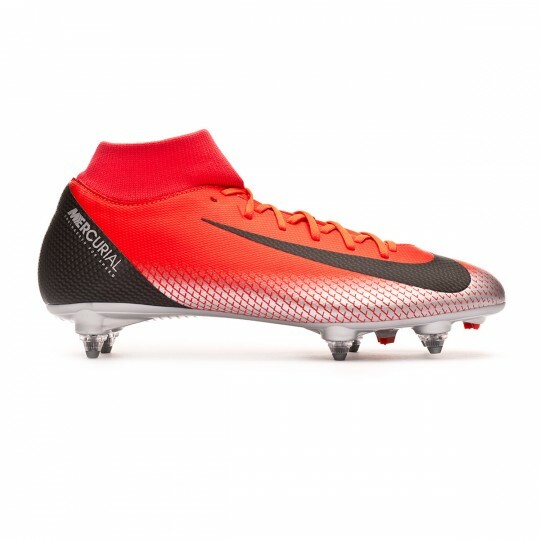 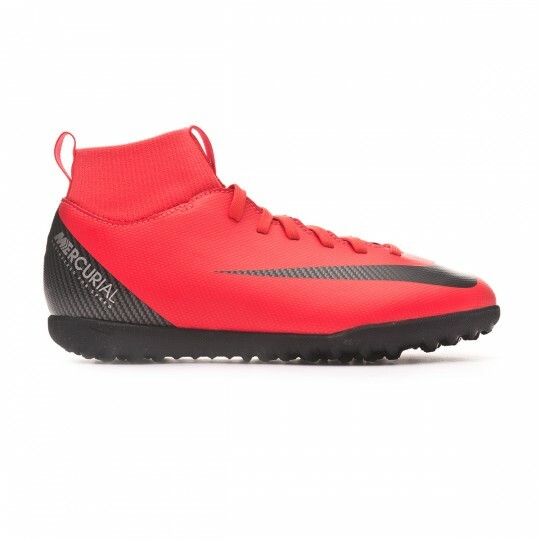 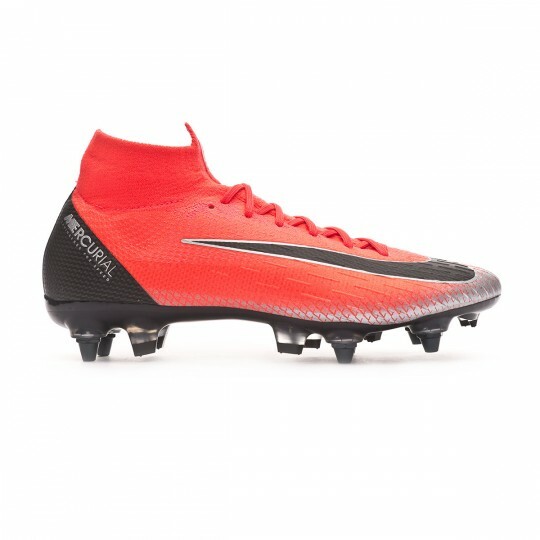 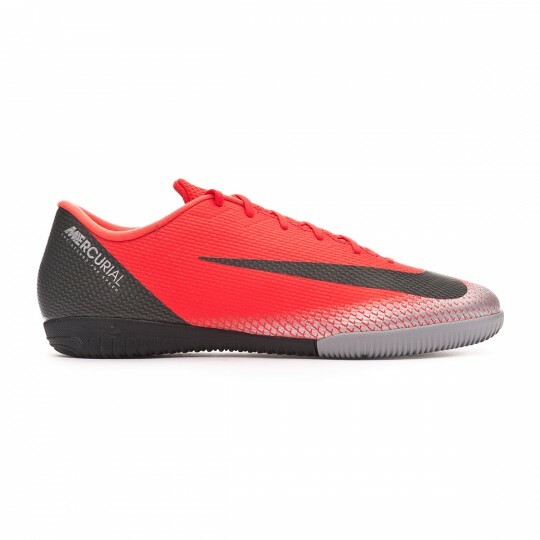 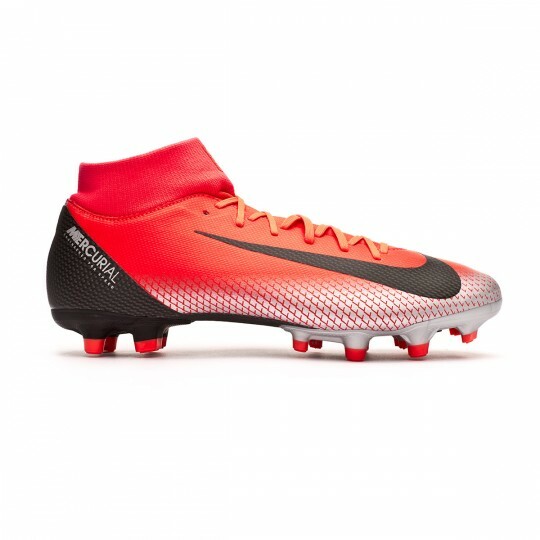 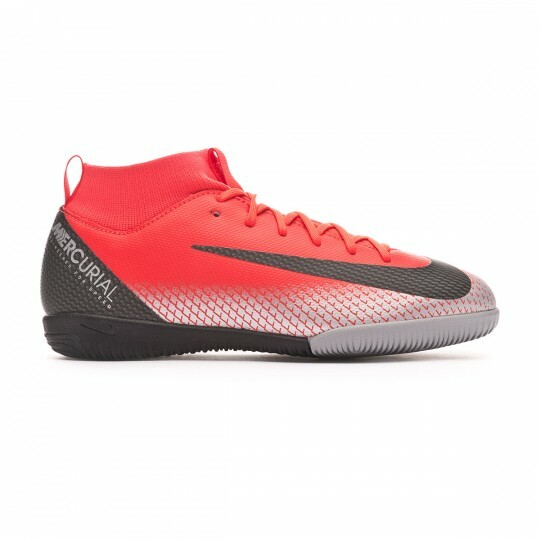 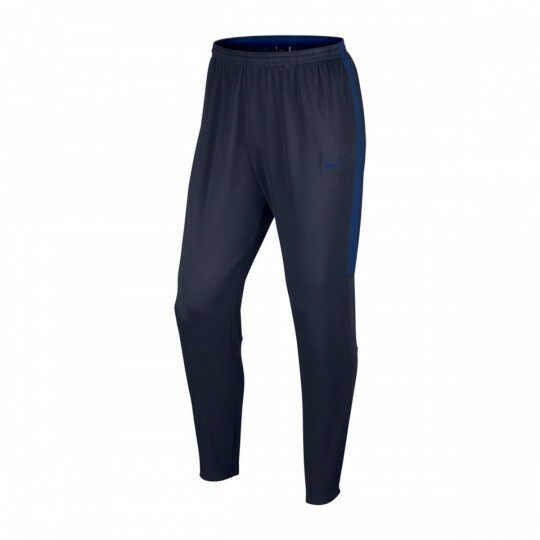 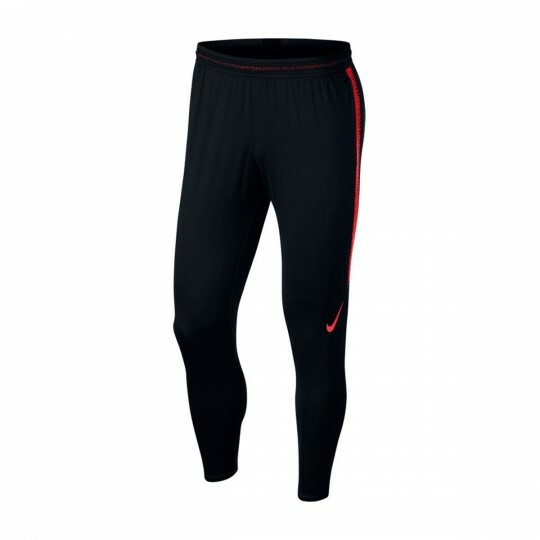 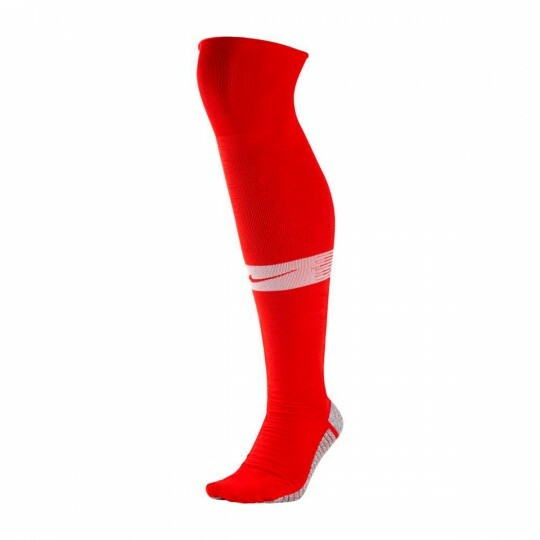 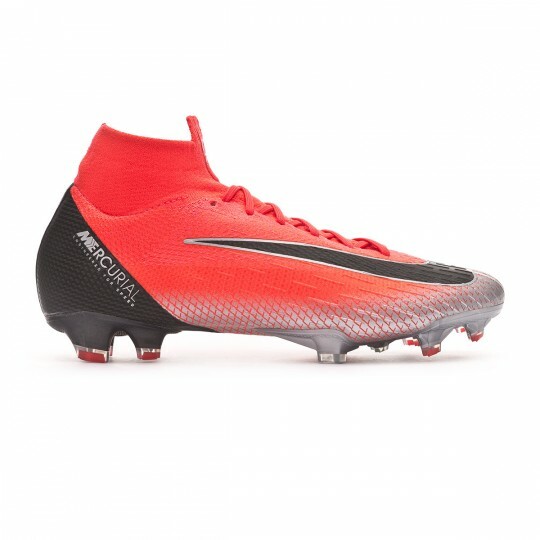 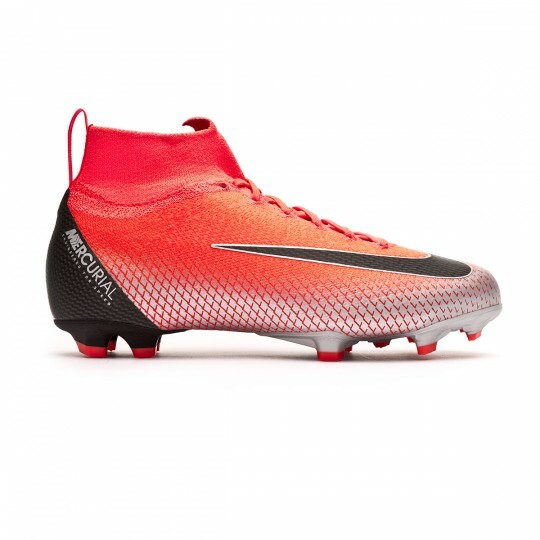 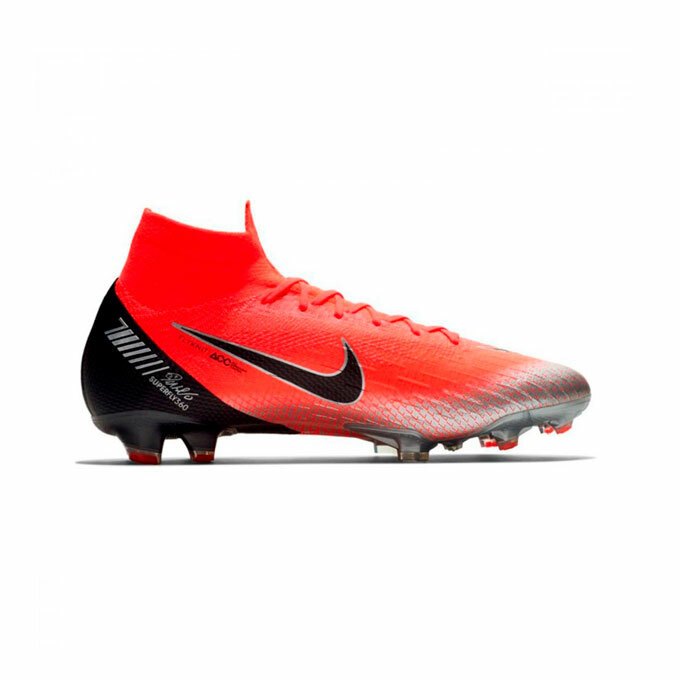 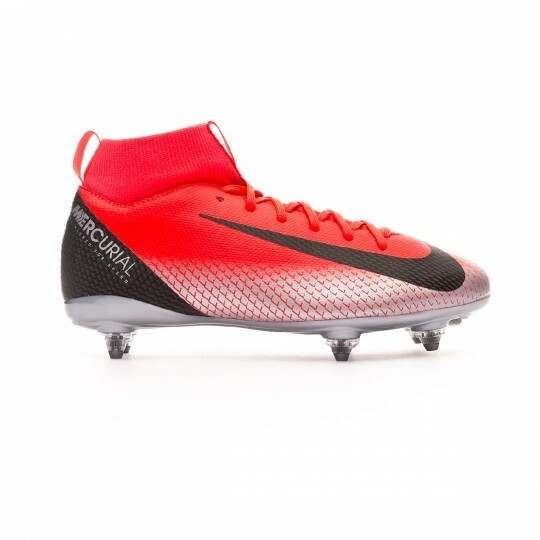 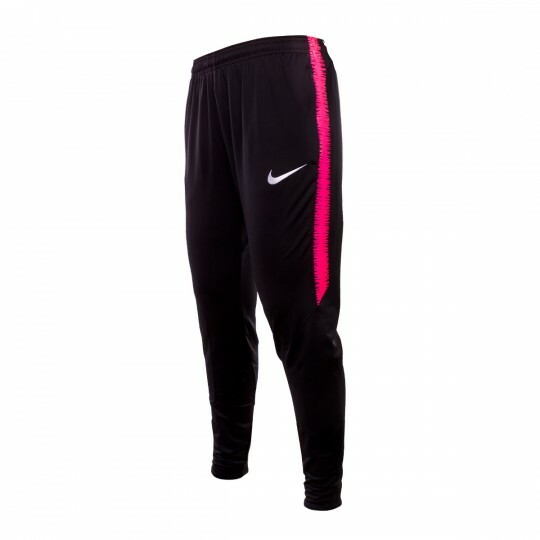 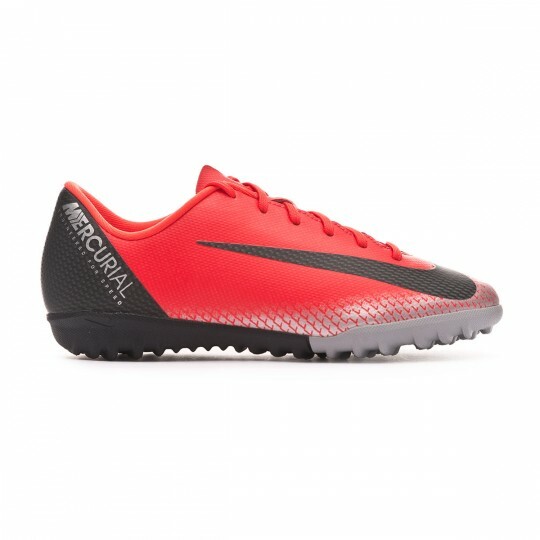 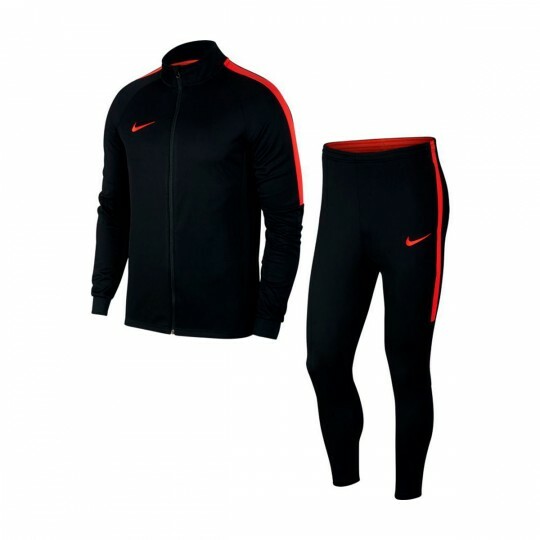 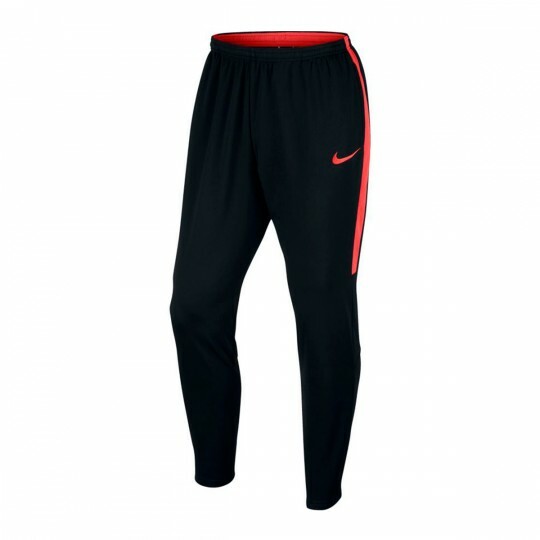 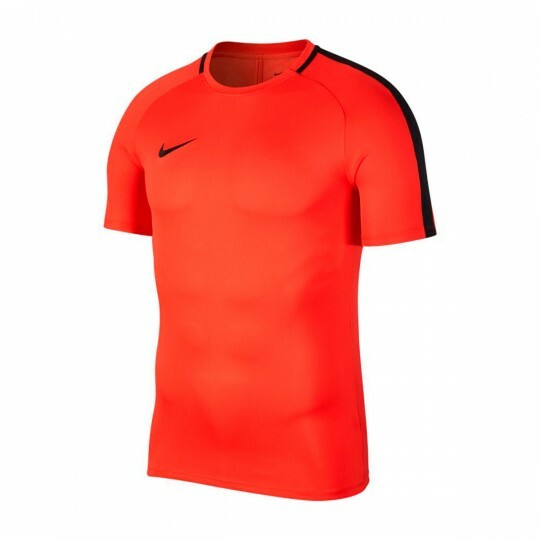 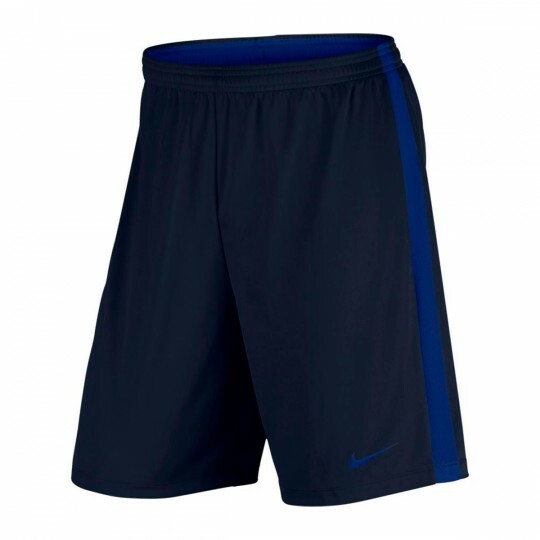 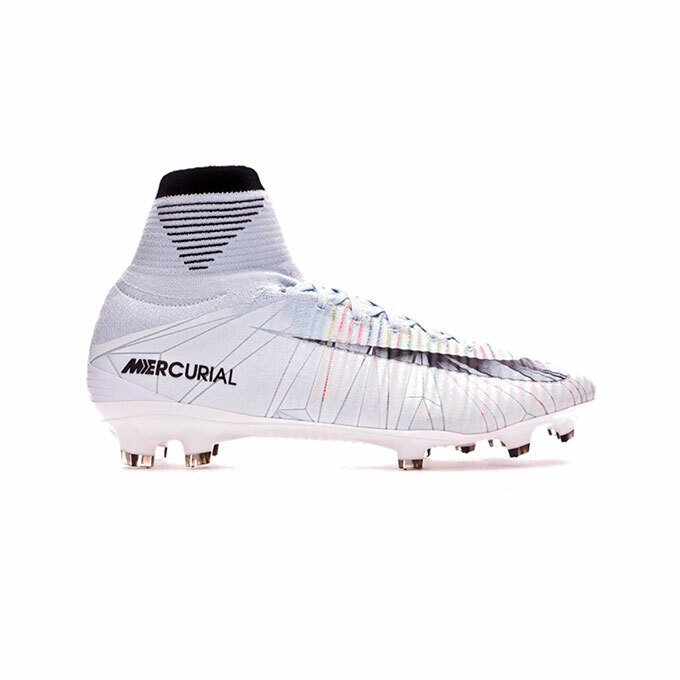 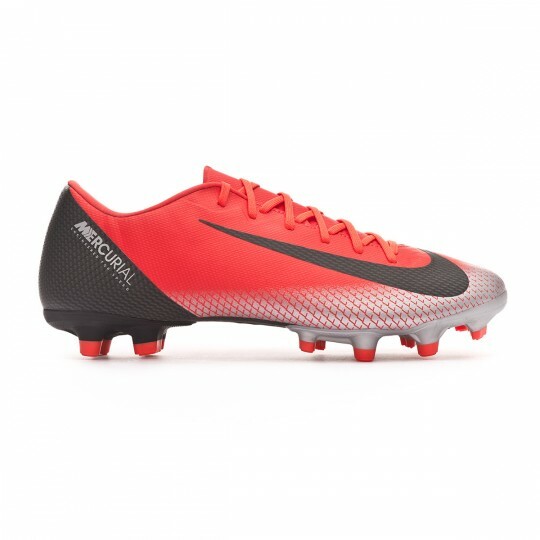 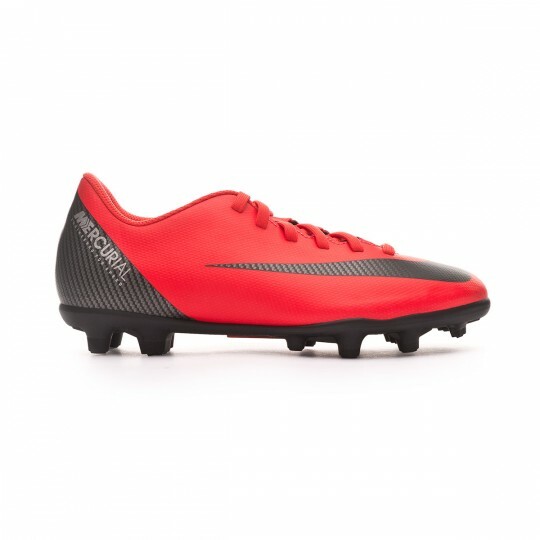 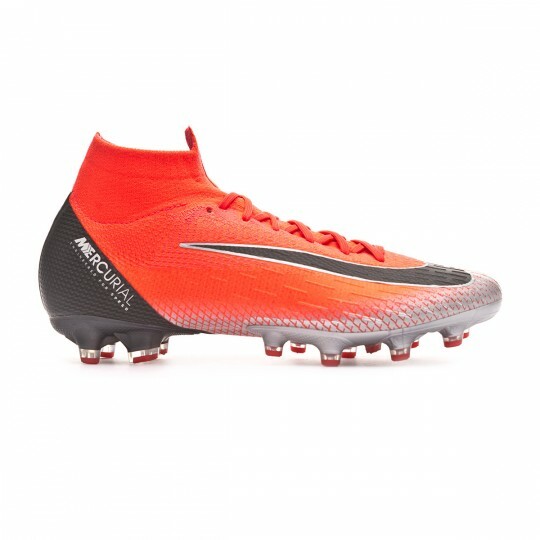 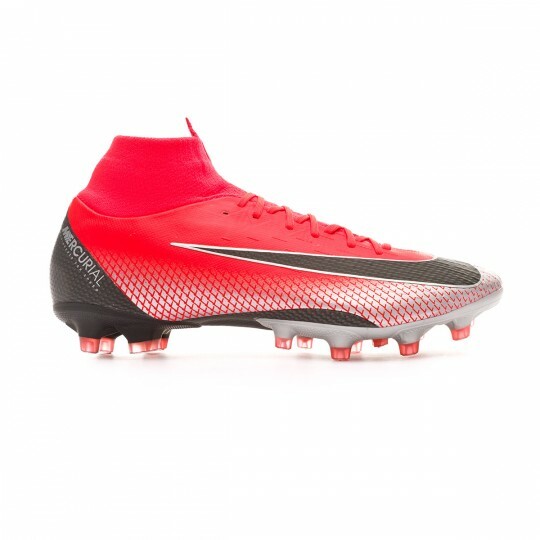 These are the Nike Mercurials specially designed for the Portuguese crack. 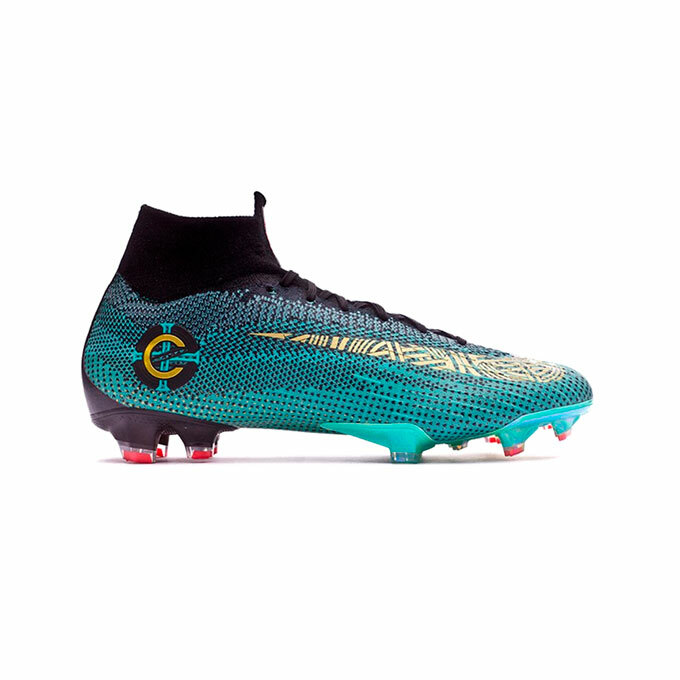 After six chapters, each one of them recalling an important part of Cristiano Ronaldo’s personal and sports history, the last chapter of this boot saga has arrived to Futbol Emotion under the name “Final Chapter”. 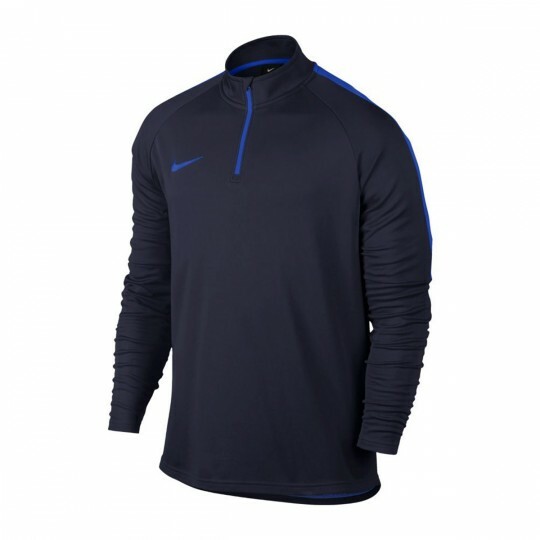 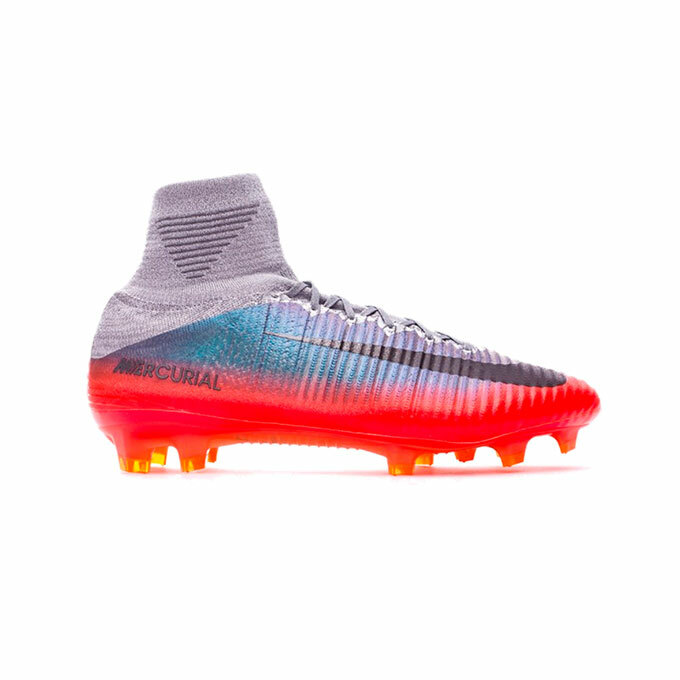 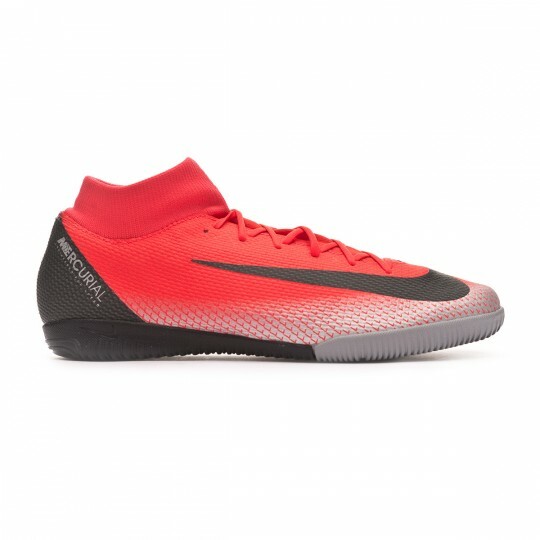 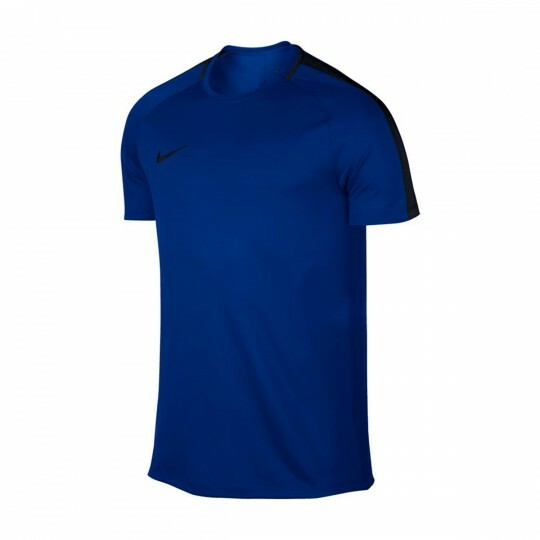 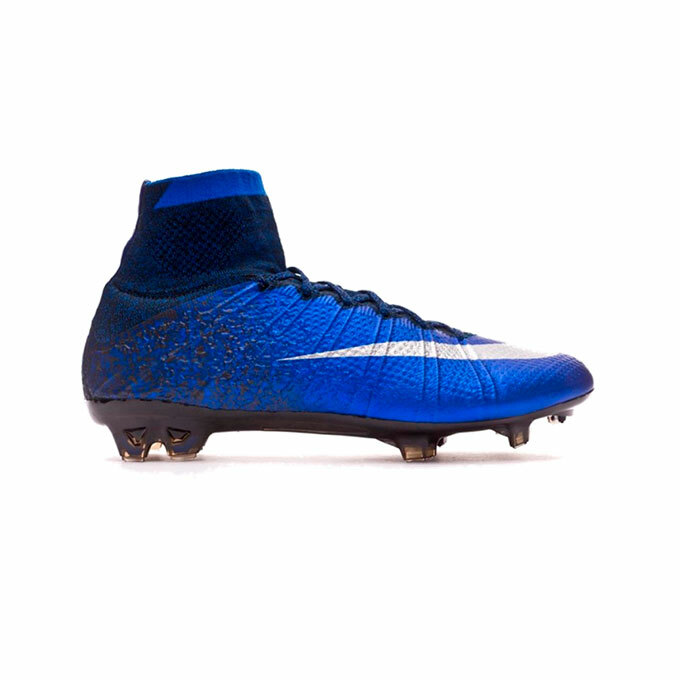 Upper made with Flyknit to reduce the weight of the boot and achieve a barefoot sensation with which the player will feel as if wearing just a sock in every contact with the ball. 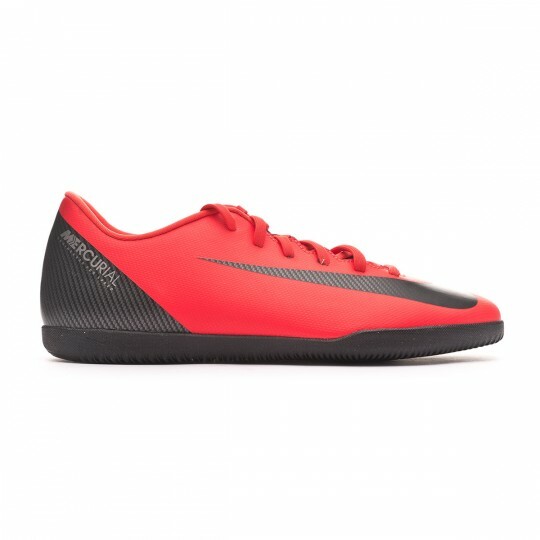 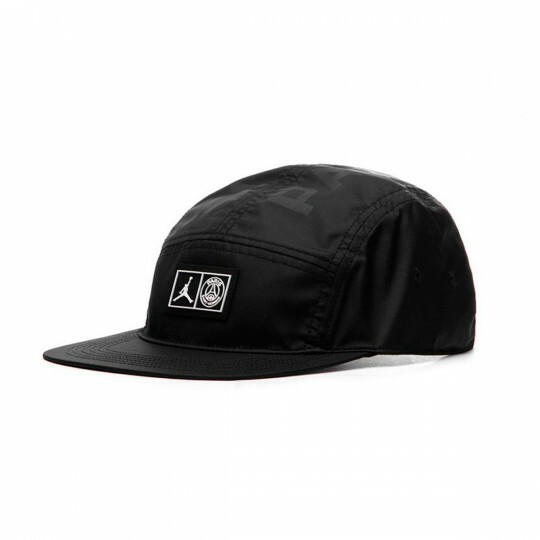 All of this is covered by the ACC technology that completely protects and damp-proofs the shoe. 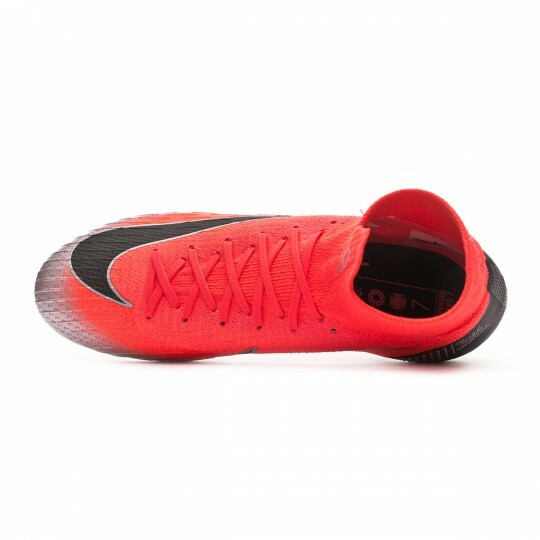 Nike has managed to create a forked sole able to adapt to the anatomic plate of the past generation. 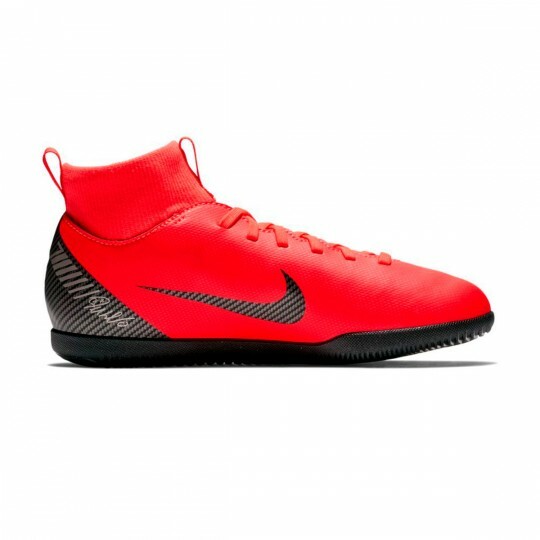 Over it, there is a distribution of arrow-shaped studs that increase traction during the most aggressive movements performed in the playfield. 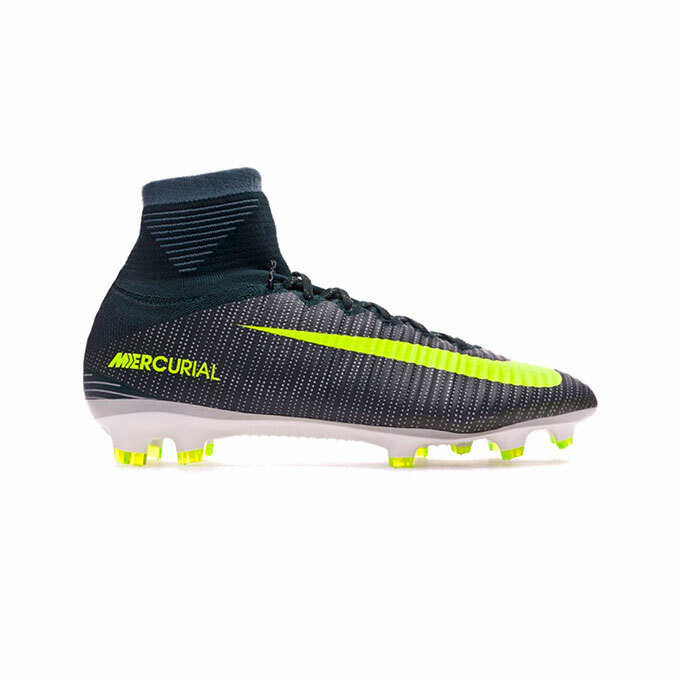 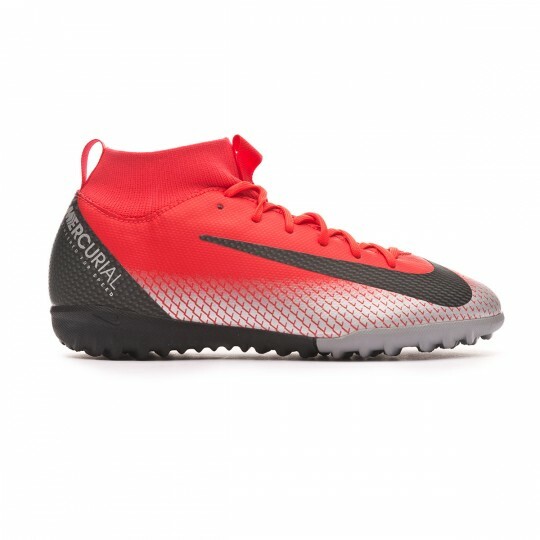 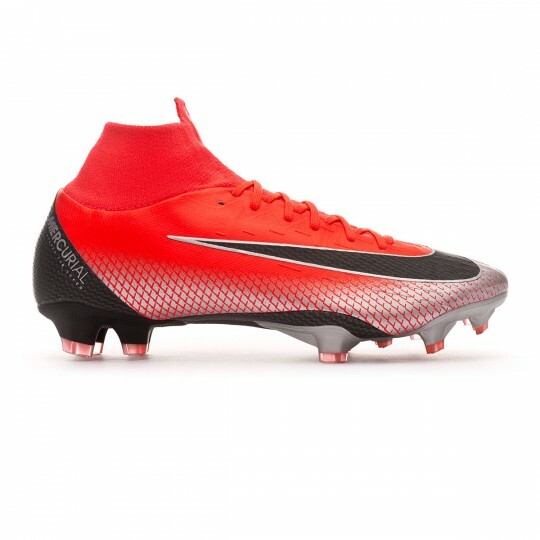 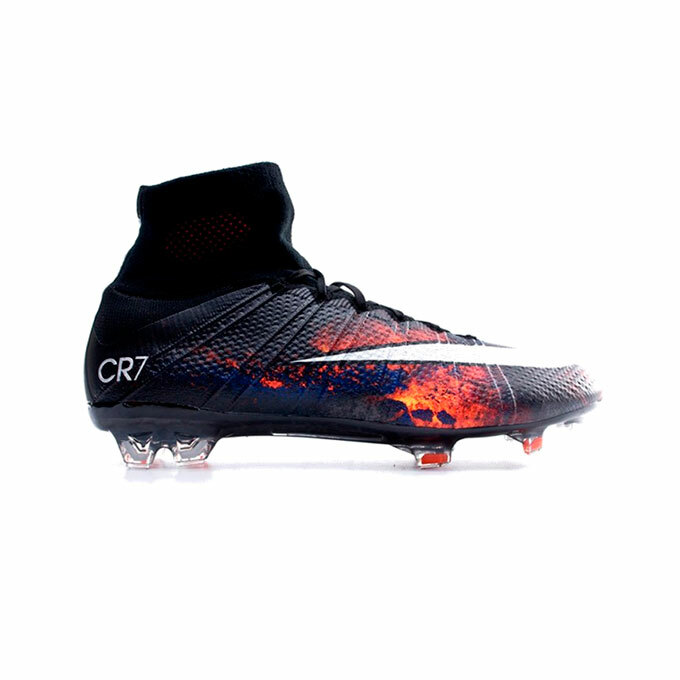 Cristiano Ronaldo will receive the last chapter of his Nike Mercurial Superfly boots, which are clearly inspired in the Nike Mercurial Vapor SL from 2008, with an upper and sole made of carbon fiber.